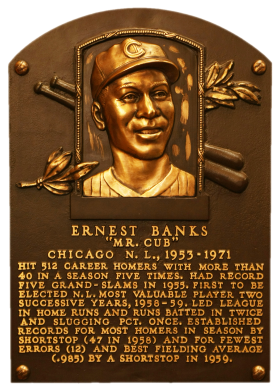 Known as "Mr. Cub," the irrepressible Banks combined unbridled enthusiasm with remarkable talent to become one of the most popular players of his era. As a shortstop he won back-to-back NL MVP awards in 1958 and 1959 before switching to first base. Despite 512 career home runs and 11 All-Star appearances, the Cubs failed to win a pennant during Bank's tenure. He had 2,583 lifetime hits and 1,636 RBI. Comments: A beautiful 1961 Topps Ernie Banks was one of the first vintage cards I ever owned - purchased sometime in the mid-1990s. It was graded NM-MT 8 by PSA. 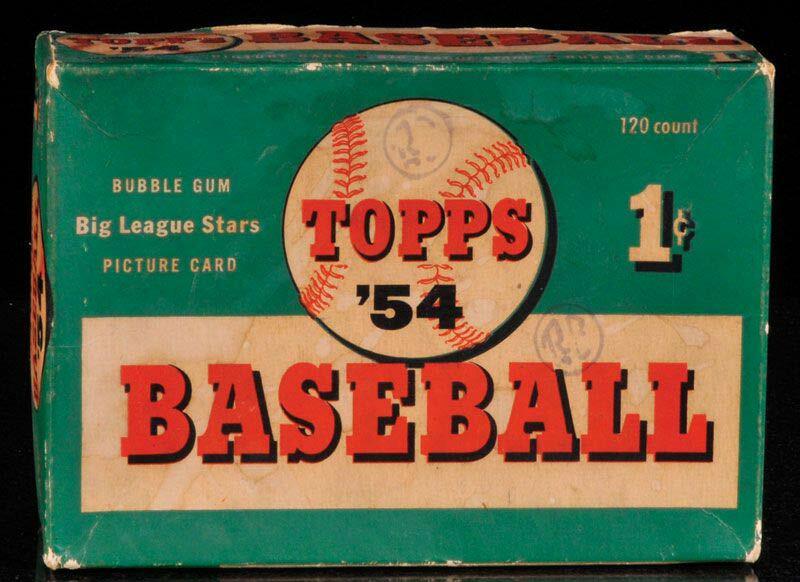 I liked the '61 card a lot but I wanted a rookie. 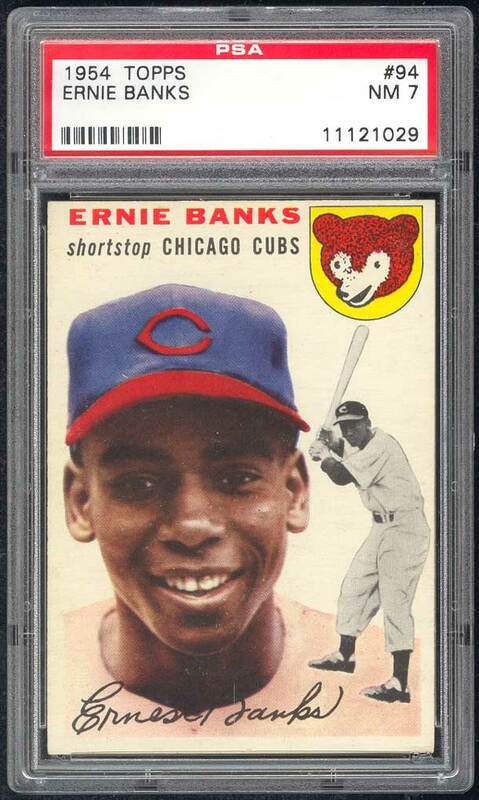 I first purchased a '54 Topps PSA 7 (OC) example - and subsequently sold it a couple months later in December, 1999. 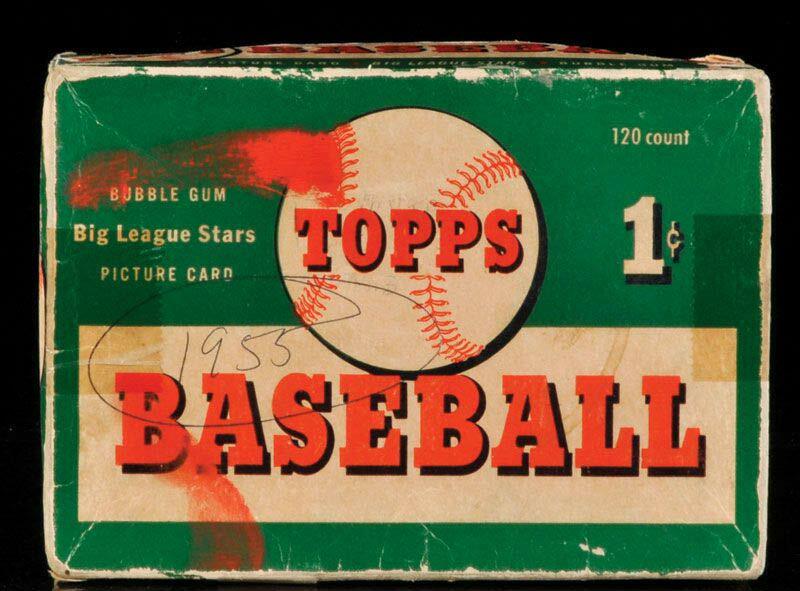 This issue is quite possibly the most beautiful card Topps has ever produced. This beautiful NM 7 upgrade was purchased in October, 1999 via eBay. Great photo, clean surface, strong corners and nice centering. Very minor chipping on the tough green back. Red, White and Blue - a piece of Americana! 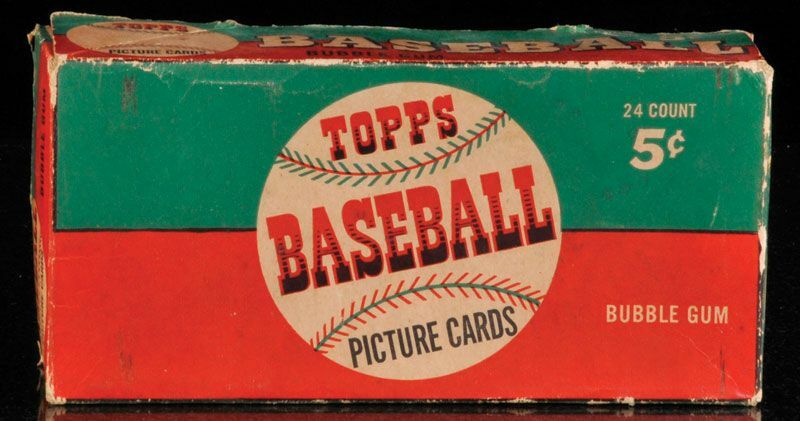 Description: The first issue to use two player pictures on the front, the 1954 Topps set remains popular today. Solid color backgrounds frame both color portraits and black-and-white action pictures of the player. The player's name, position, team and team logo appear at the top. 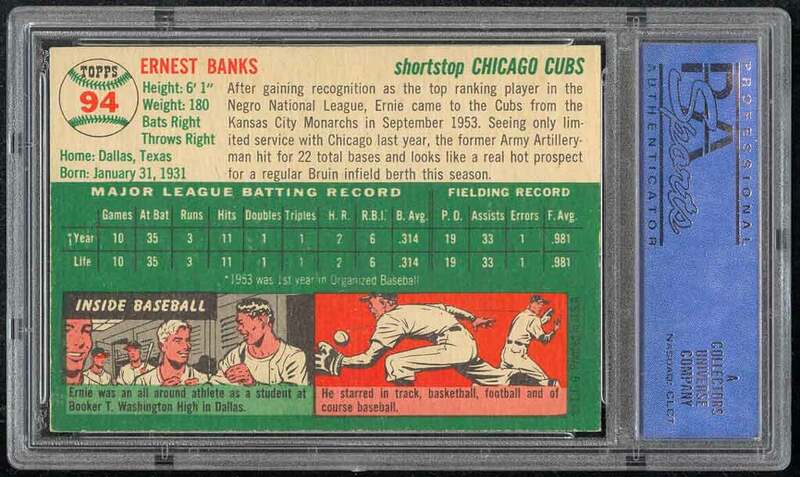 Backs include an "Inside Baseball" cartoon regarding the player as well as statistics and biography. The 250-card, 2-5/8" X 3-3/4", set includes manager and coaches cards. 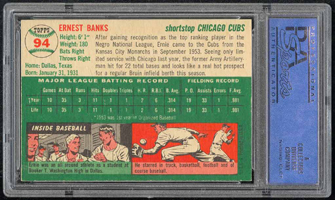 A gray-back version of the cards #1-50 is known, distinguished by the use of dark gray cardboard on back. These are often attributed to Canadian issue and carry a modest premium.